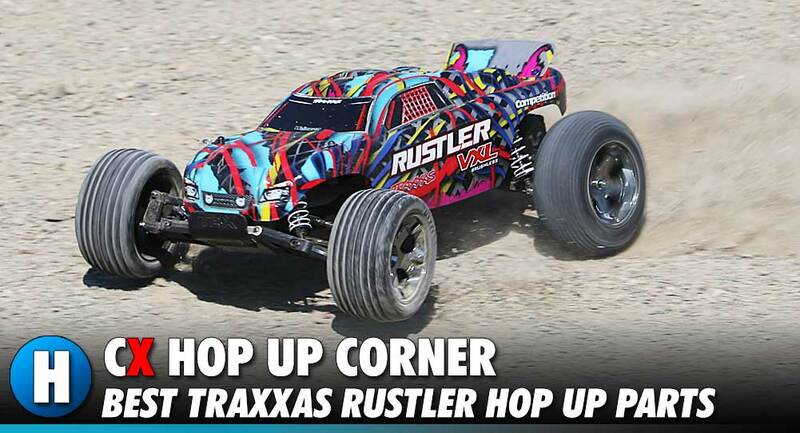 The Traxxas Rustler VXL is a fantastic vehicle right out of the box, having the capability to hit speeds in excess of 70mph with just a few tweaks out of its box-stock form. While this truck is super slippery and virtually bulletproof, there are a few things we can add to customize it even further. While I’m a pretty big fan of how well the stock plastic shocks work on the Rustler, nothing beats having silky smooth aluminum replacements. There are quite a few options out there, but I think you’ll get the best fit with the aluminum ones straight from Traxxas. While they are aluminum, they’re not threaded so you’ll still have to deal with pre-load clips for ride height. 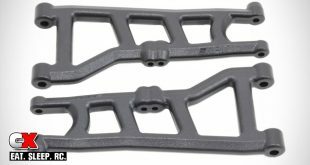 If that’s an issue, you can get a set of STRC aluminum bodies (with collars). 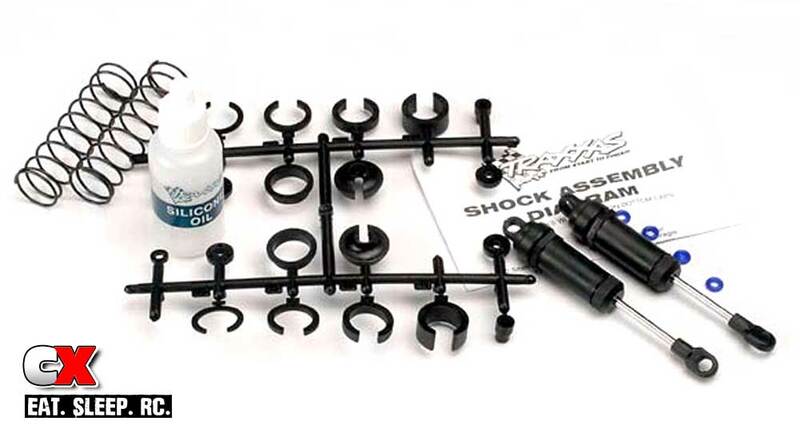 They are compatible with Traxxas shocks, but you’ll have the added ability to adjust ride height using the threaded collars instead of pre-load clips. There’s certainly nothing wrong with the powerful electronics in the Rustler, so there’s really no need to upgrade anything. 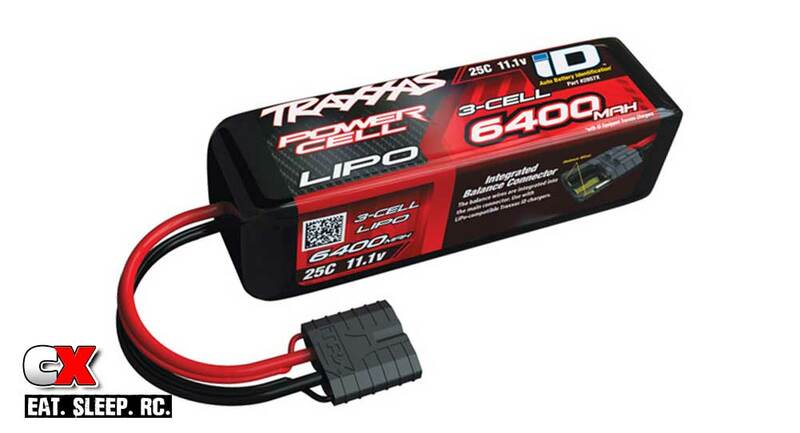 I recommend, though, a good 3S 11.1v LiPo battery to extract the most power out of this truck. Due to Traxxas’ recent release, you won’t be able to power future Traxxas trucks with anything BUT a Traxxas battery, so that doesn’t leave many options in this category. Their 6400mAh 11.1v 3S pack is brutally powerful – just strap one of these into your truck and you’ll see what I mean. No brainer here. Since most people will be pushing as much power through this truck as possible, there’s not much chance of a failure in the drivetrain. 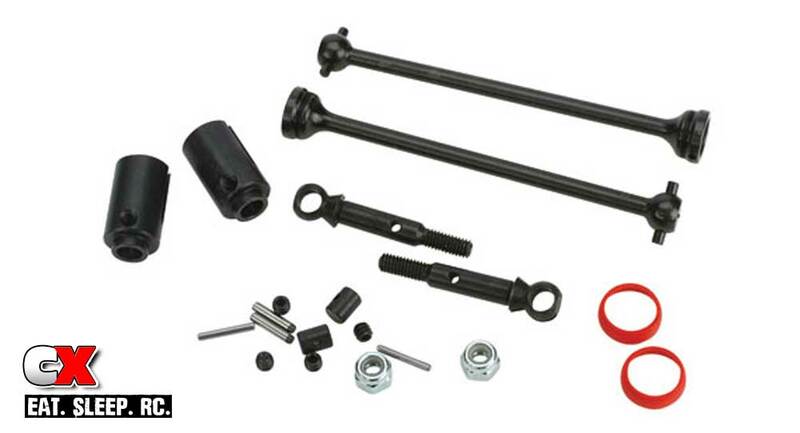 I, however, like to always upgrade my trucks with MIP axles – it just makes me feel better. So, I recommend MIP’s C-CVD kit; it’s a complete kit that allows you to swap out the stock parts for uber-durable MIP CVDs. Easy build – easy install – major piece of mind. 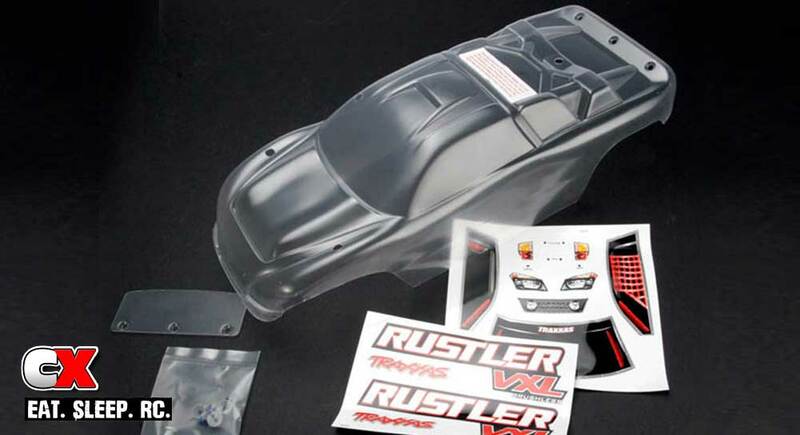 Traxxas designed the body on the Rustler to be super sleek; it’s low nose and elevated fenders help it cut through the wind while being extremely stable at high speeds. 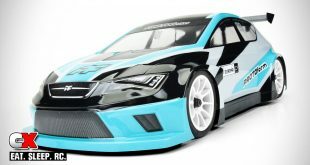 I did quite a bit of research on bodies but all of the ones out there seemed to be a bit more ‘racey’; blocky noses and hard lines that make the truck much more aggressive. 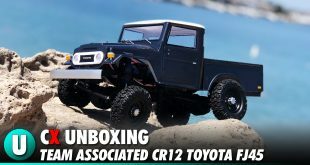 When I’m out driving this truck, I want it to be fast and stable, so my suggestion is to just get a clear version of this body and paint it up how you like. The stock options offer a good combination of dirt and street grip, but since I’m more interested in all out speed with this truck, I’m going with a set of Pro-Line’s Prime rollers on all 4 corners. These tires are designed for maximum street grip, perfect for high speed runs. 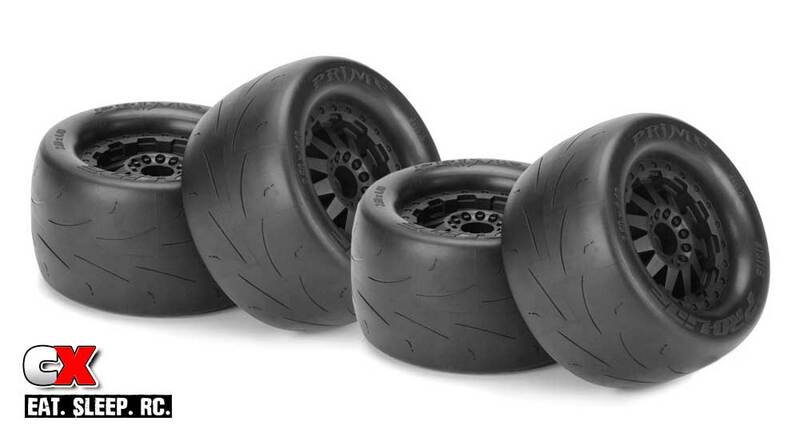 Just note, though, that the tread on these tires is next to nothing so you’ll be giving up alot of grip on any other surface (dirt, grass, etc). 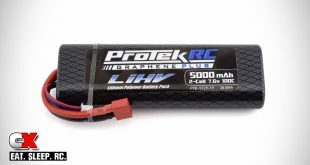 I should have added a wheelie bar to the accessory list, but in order to use a 3S LiPo in the Rustler, you need to get the Battery Extension Kit. 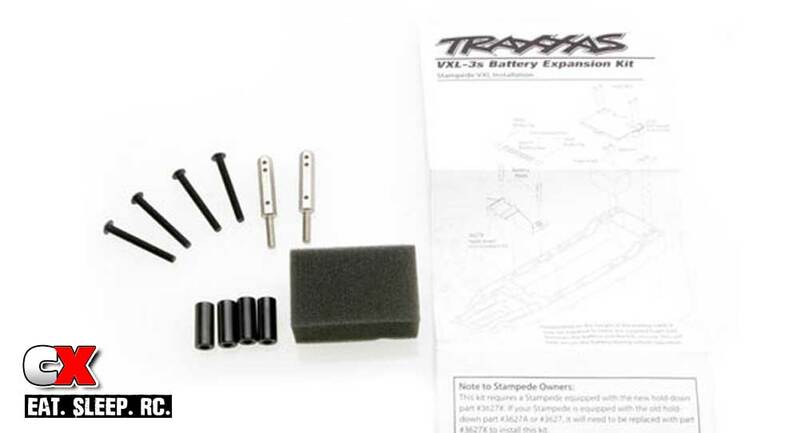 This kit raises the battery strap higher to accept the taller 3S pack; it’s mandatory so I added it here so you wouldn’t forget to purchase it! 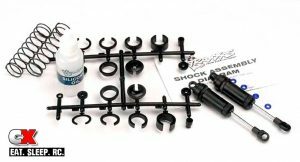 These options will help turn your speed Rustler into a frightening land rocket – you just need to find some clear space, pull the trigger and hold on!